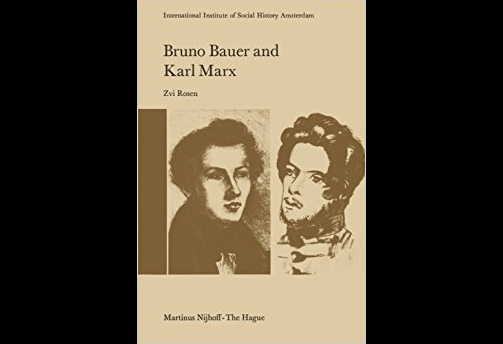 The influence of Bruno Bauer on Marx's thought, 1977, pp. 254. This book really rehabilitates Bruno Bauer and his influence on Marx (far greater than Feuerbach). Holy Family was a bit unfair attack (possibly Marx is so vehement because he is more engaged in expurgating his own former beliefs). Rosen (1925–2014) got his Phd (The Young Hegelians and the Issue of Origin of Christianity) in Warsaw in 1957.